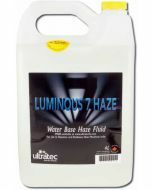 Ultratec's Radiance Haze Machine is the next major advancement in Water Based Haze Technology. Once again, Ultratec is setting new standards that all other haze machines will be measured against. 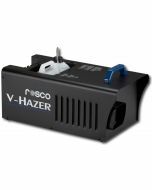 Features include: Built-In DMX that controls both the haze output and the internal fan. 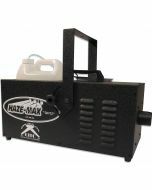 This combination offers excellent haze control and even dispersion. 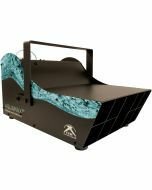 The Radiance can also be operated by an optional Remote or by utilizing the onboard variable settings. 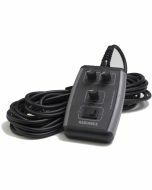 Additional features include an IEC removable Power Cable and Multi-use Bracket. The Radiance uses the Luminous 7 Haze Fluid which is a proven fluid that offers the best in low consumption and great hang time. It utilizes the various sizes of the Ultratec fluid containers. Serviceability is key; built with Ultratec's innovative 4-Port Rapid Clean Vaporizer. It can be cleaned and returned to service in less than 15 minutes. 14" x 19.25" x 9.38"
Original report commissioned by Actors' Equity Association (AEA) and the League of American Theaters and Producers (LATP). Written from a scientific point-of-view, not intended for any specific machine. 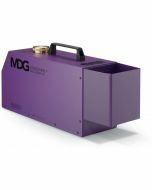 Covers a wide range of machines, provides tables for time-and-distance guidelines based on the original Actor's Equity report on Theatrical Smoke/Haze (2000).